Lake Capri - Great Floorplan, Loads Of Storage, Fireplace Never Used. Newer Roof. MLS#8549465. Solid Source Realty Ga.
Ginger Lake Estates - Our Plans Offer The Best Maximization Of Space Per Square Foot, With Large Closets, Bedrooms, Baths, And Living Spaces. Photos Are Stock Photos. MLS#8549235. Silverstone Realty, Llc. Ginger Lake Estates - Our Plans Offer The Best Maximization Of Space Per Square Foot, With Large Closets, Bedrooms, Baths, And Living Spaces. Photos Are Stock Photos. 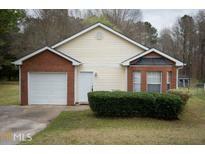 MLS#8549234. Silverstone Realty, Llc. **Recently Renovated And Move In Ready**New Tile Wood Plank Flooring - New Carpet - Roof Less Than 3 Yrs Old - Hvac Approx 2 Yrs Old - Hot Water Heater 1 Yr Old - Gutters & Gutter Guards Less Than 3 Yrs Old - Freshly Painted Inside And Out - 4 Bedroom 2 1/2 Baths -Shatterproof/Security Storm Door- Family Room W/Beautiful Brick Fireplace With Gas Starter ,- Formal Living With Picture Windows- Formal Dining Room - Eat In Kitchen W/ New Appliances, Instant Hot Water Dispenser And Tons Of Cabinets And Counter Space Overlooking Family Room - New Sliding Glass Door In Family Room Going Out Onto Covered Back Porch With Huge Fenced Back Yard. MLS#8548405. Deon Cannon Realty. Bath: New Ceramic Flooring, New Ceramic In Tub/Shower Area, Large Vanity With Granite Top, Hall Bath New Ceramic Flooring, New Ceramic Tub/Shower Area, New Vanity, Kitchen: New Cabinets, Granite Counter Top, New Ceramic Flooring Stainless Steel Appliances: Refrigerator, Range, Microwave, Dishwasher ..Owner/Agent....Property Sold As Is, No Disclosure ...........Lockbox Code: 2370.....See Alarm Code And Instructions In Lockbox MLS#8549072. Gramm Enterprises, Llc. Annsbrooke - Home Also Features A Security System And Sprinkler System, A Spacious 2 Car Garage With Plenty Of Extra Parking Space Outside. MLS#8547932. 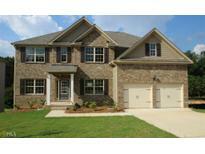 American Realty Pro Of Ga.
Close Proximity To Schools, Shopping, And I-20! MLS#8548046. Keller Williams Realty Ame. Deck Overlooks Private Yard Which Is 1.3 Acres! MLS#8547450. Keller Williams Rlty Atl. Part. Great Schools And Great Area! Schedule Your Showing Today! ! 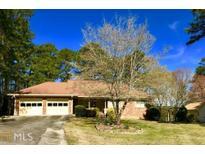 MLS#8547280. Solid Source Realty Ga.
Half Is Finished With A Bath. MLS#8546217. Joy Evans Realty Llc. Cherry Creek - This Home Is Perfect For Entertaining. MLS#8545074. Arc Homes Realty Group Llc. Shadow Lake - Use Showing Time For Setting Appointments. MLS#8544916. Megasis Realty Group Llc. Appraised 2019. Additional Acreage Can Be Purchased. MLS#8544952. Re/Max Pure. Avignon - This Home Won'T Last! No Sign In Yard. MLS#8544554. Southern Dream Realty, Inc.. This Home Offers A Unique Opportunity To Make It Your Own. MLS#8543487. Keller Williams Rlty Atl. Part. Must Contact Agent To Obtain Code For The Security System. MLS#8543171. Carter'S Galaxy Of Homes. Irwin Place - It Boast Large Rooms And Beautiful Hardwood Floors Throughout The Main Level. MLS#8542485. Solid Source Realty Ga.
Westchester Lakes - Immaculate One Owner Custom Built In Upscale Neighborhood - 4Br/3Bath - Formal Dining Room - Formal Living Room - Family Room With Built-Ins - Gorgeous Updated Kitchen With Granite Counter Tops, Practically New Appliances And Huge Pantry - Large Master Suite On Main Level With Updated Master Bath, Garden Tub, Separate Shower, His & Her Closets -Split Bedroom Plan - Two Secondary Bedrooms On Main Floor - 4Th Bedroom With It'S Own Bath Upstairs Which Could Be In-Law/Teen Suite -Laundry Room With Built In Ironing Board And Also Has Sink - Manicured Corner Lot With Patio For Entertaining - Swim/Tennis Is Optional But Not Mandatory - Absolutely Move In Ready MLS#8542517. Deon Cannon Realty. Take Time To Really Look Around And You Will See This Is The Home For You. MLS#8542215. American Realty Pro Of Ga.
Stafford Glen - Foyer Entry, Huge Vaulted Family Room W/Access To Big Covered Back Deck For Extended Outdoor Living Space; Island Kitchen W/Seating,Granite Counters, Subway Tile Backsplash, Plentiful Dark Cabinetry, Built-In Desk Area, Pantry & Upgraded Stainless Steel Appliances Open To Family Room; Formal Dining Room W/Molding Details; Big Secondary Bedrooms; Private Owner'S Suite W/Trey Ceiling, Seperate Sitting Room & Great Bath W/Dual Sink Vanity, Tile Shower, Soaking Tub & Walk-In Closet; Laundry Room W/Cabinetry & Sink; Upstairs Bonus Room/4Th Bedroom; Big Cul-De-Sac Lot W/Great Lawn Space MLS#8542079. Bhgre Metro Brokers. This Home Has A Ton Of Potential And Is Ready For A New Owner! MLS#8541899. Rcm National Realty Llc. Tons Of Storage Or Space For That Workshop You'Ve Always Wanted. Must Contact Agent For Appointment! MLS#8542161. Carter'S Galaxy Of Homes.